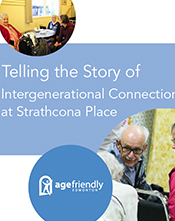 Age Friendly Edmonton works in partnership with organizations and individuals who have formed working groups focused on the key areas identified in the Vision for an Age Friendly Edmonton Action Plan. 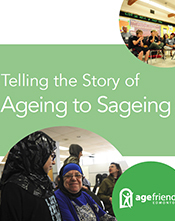 Working with these organizations, Age Friendly Edmonton have managed to accomplish multiple projects and resources listed below. Seniors and those who support them easily access the information they need when required. Goal 2: Seniors are informed about the range of housing options available. 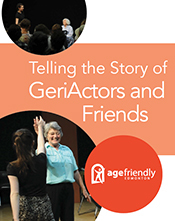 Action 1: Promote and/or develop resources to inform seniors and their families about their housing options. 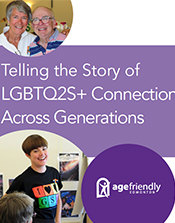 Age Friendly Edmonton has funded a number of community projects that fostered intergenerational connections. These are their stories. "And for me? It's simple. My life is fuller." "It's all about safe and welcoming environments."